Cedar Bay cherry is a native of Australia. 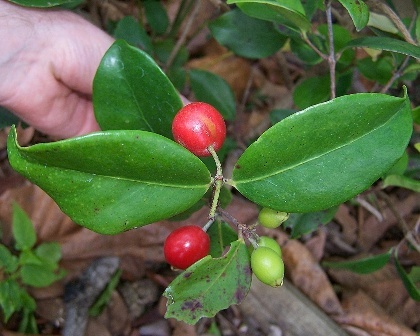 It is also known as Beach Cherry. This is rated as one of best tasting fruits from Australia. Besides Australia, it also grows in the tropical rainforests of Indonesia, Pacific Islands, Hawaii. This fruit is cultivated to a limited extent for its fruits. 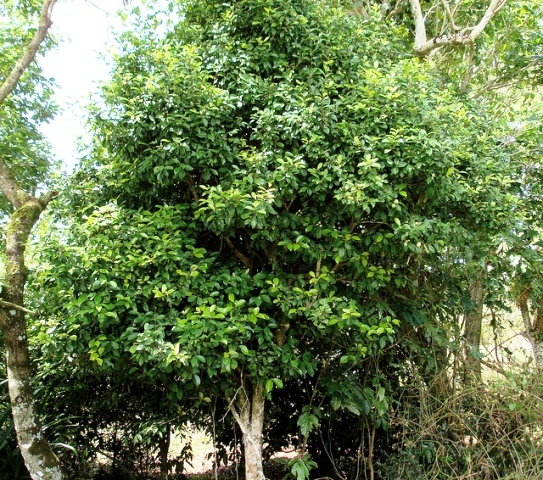 A large shrub, upto 4 m high. 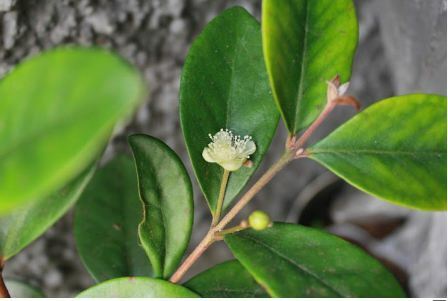 Leaves thick, shiny deep green, elliptical, up to 90mm long; new growth pink maturing through lime green. Flowers white to cream, 15 mm across, petals 5, stamens centrally clustered. Fruits round, bright red, 7-20 mm wide, flesh white, sweet and tasty. The fruits are sweet and tasty. Some people rate Cedar Bay Cherry as the tastiest fruit of Australia. Fruits are mostly eaten fresh. These are also used to flavour drinks. A candy and preserve is also made from these fruits. This fruit is said to be a rich source of antioxidants. The tree is cultivated, though on a limited scale, for its fruits in tropics. It does not withstand frost and therefore should not be planted in frost prone areas. New plants are raised from seed but the germination might be slow and the seedling growth may not always be fast. This fruit can also be propagated by cuttings which are also a bit slow in forming roots. This plant responds to pruning very well and therefore can be trained into many shapes.